Many do it yourself mosquito control attempts prove to just not be effective enough. With the early spring like weather in Wisconsin this year, it is predicted mosquitos will be heavy this summer. Not only are they an nuisance, they are a health concern too. Prevent west nile and mosquito carried illnesses as well as just the annoying itchy bumps they cause! Professional mosquito control = barrier spray treatments that are aimed to kill adult mosquitos, and larvicides that are intended to kill mosquitos in the beginning larvae state. Barrier spray treatments typically involve a spray that contains pyrethrin. Pyrethrin is a botanical pesticide derived from dried chrysanthemum plants (naturally) or pyrethroids (synthetic insecticide). The spray is the most effective due to the fact pyrethrin breaks down with exposure to sunlight and moisture. The barrier spray is applied to vegetation throughout your landscape, paralyzing and killing mosquitos once they come in contact. 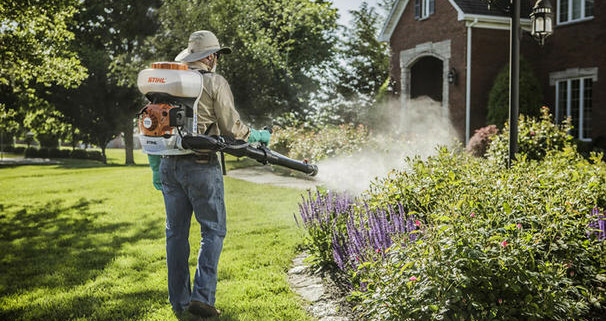 This method of mosquito control is safe for your yard and approved by the EPA. There is no risk of exposure to children or adults. There has been concern for runoff from the pesticides causing harm to aquatic life, but the concern is minimal. Larvicides have proven effective for treating areas of standing water such as retention ponds, ditches, lakes and backyard ponds. The most common larvicide used is BTI (Bacillus Thuringlensis Israelensis) which is a natural occurring bacterium. This product is deemed safe for the environment by the EPA. BTI is non-toxic to fish, birds and mammals. It is only effective on the species in the larvae state and will not effectively kill adult mosquitos. For the best results in mosquito control – you want to nip the sources, which are the breeding places on your property. Talk to Koch Kuts about your mosquito control options. 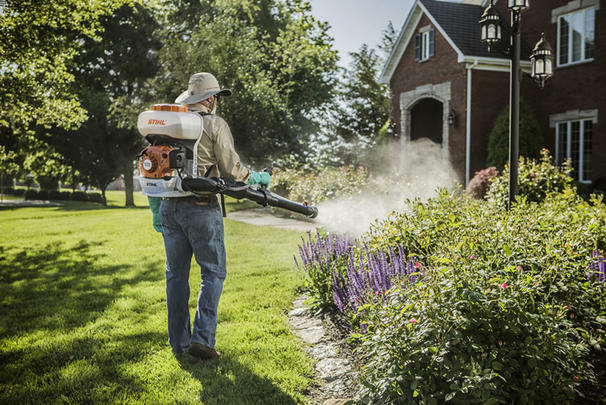 We offer Spraying and Fertilizing Services and can help you minimize your mosquito annoyance this spring and summer. Contact Koch Kuts for your free Spraying and Fertilizing Estimate today.